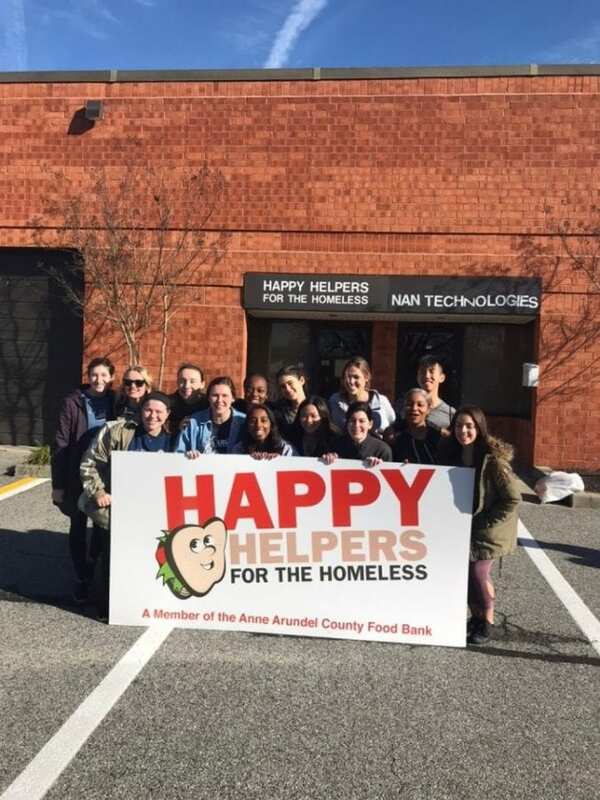 A huge number of people on this campus participate in service, and an impressively large group go on alternative break programs. It simply blows my mind how many people are not only willing – but unbelievably enthusiastic – to dedicate the one week they have off during an otherwise non-stop semester to go on one of these programs. Nothing about this process is easy—socially, financially, emotionally, physically, or mentally. When you sign up to spend a week of your life with near strangers somewhere you’ve never been before, meeting people or experiences you’ve never encountered before, you’re not just stepping out of your comfort zone—you’re leaping into a whole new realm of unknown that cannot compare to anything you’ve done before. I’m sure everyone knows someone who has done an alternative break and come back physically incapable of talking about anything else. However, since my program left the day after Christmas and came back just at the start of winter session, I missed my chance to go off about what an amazing program it was—and that’s actually not what I want to talk about here. I want to talk about the people who made this program what it was. I recognize that there are countless amazingly selfless human beings that I will never get to meet. People who do what they do because it’s the right thing to do and who get no recognition or pats on the back from anyone for their accomplishments, however small or large. While I can’t speak about all the individuals out there who get what it means to be an active citizen without even trying, I can talk about one. Bobbi Coffman hasn’t had a weekend off from feeding the homeless citizens of Baltimore in twenty-six years. She’s faced rain, snow, holidays, and nothing has kept her from fulfilling her self-declared purpose. Not to mention the less palpable obstacles in her path—ignorance, hatred, lack of support and funding. Her daughter started a program called Happy Helpers when she was only ten years old that provides food and goods for the homeless in Baltimore, but the most important thing that the organization gives to people is love. It’s one of their founding principles; go check out their website and you’ll see that love for other people, people they don’t always know, is the basis for their work. This is unheard of in today’s world. People have trouble loving the people in their own communities that are only a little bit different from them, and here is one little girl seeing past all that and into another community of people that need help. And she’s not just handing it to them; she’s making real connections with them, something we all struggle to do on a daily basis. I think one of the most amazing things about Bobbi Coffman is her ability to share what she does with others. She doesn’t just tell people about it; she invites them in and shows them what she does by letting them do it themselves for a day or two. Take our group, for example. A group of college students who didn’t quite know what they’d signed up for when they stepped out of cars after making sandwiches and packaging up food for the homeless, and who then actually get to see the direct impact service has on people—putting real faces to that unknown and unfair name “homeless.” Following through like this with service makes the people we’re working so hard to help feel just like that—like people. Not some desperate group of people we can’t imagine relating to; just through this we were grounded, humbled in our small power to do great acts of good. Bobbi had bought thousands of Christmas presents. She let some of the participants on our program hand them out to share the feeling with her of making someone’s day. I’ve never felt a stronger feeling of love for someone I didn’t know then when I saw the smile on someone’s face that a five-dollar gift card to McDonald’s could make. That moment really resonates with me. Bobbi knows these people. She knows what they need, and more importantly what they want. What makes them happy. She knows how to show them love in the biggest of little ways. I am so grateful to have been a part of this organization, even if it was only for a weekend in Baltimore when my attention was divided between them and five other community partners and leading a group of kids my age in an experience I’d never had before. But for that moment, my attention was the most grounded it had ever been. Recognizing the impact that one moment had on someone’s life, someone a lot like me in many ways, made me feel so present. There were countless other incredible people I met on just this program, and many other stories about why the people I mentioned are so great. But this one person and this one moment of sharing in the ground-breaking experience of full engagement in direct service is one that I think deserved its own story. In UDaB, we talk about mutually beneficial service. This means that I both give and get something out of the service I do—whether it is giving my time and getting a memory out of it, giving my sweat and getting a new friend out of it, or giving my love and getting some back from people I barely know. I can’t promise another experience like this exists, but that’s what makes alternative breaks so great; they always give you more than you signed up for. I hope everyone who chooses to sign up for a program like this gives it their all and gets out of it more than they ever expected.